Florilegium, director Ashley Solomons, is currently touring Bach's Brandenburg Concertos (all six of them). They perform at St David's Hall in Cardiff tonight (25 January 2018), and at St George's Church, Hanover Square, London W1S 1FX on Friday 26 January 2018. Florilegium will be performing them in reverse order, starting with No. 6 with its two viole da braccio, two viole da gamba, cello, violone, and harpsichord and ending with No. 1 with its two corni da caccia (natural horns), three oboes, bassoon, violino piccolo, two violins, viola, cello, basso continuo. Chances to hear all six Brandenburg Concertos together are rather rare, partly because each concerto calls for a different combination of instruments. Though Bach was working for Prince Leopold of Anhalt-Cöthen at Köthen when he sent the concertos to the Margrave of Brandenburg-Schwedt, they probably date from earlier. After all, he could hardly send one prince a set of concertos which had originally been written for another one! 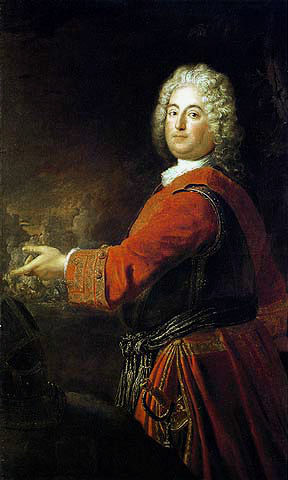 The concertos were presented to Christian Ludwig, Margrave of Brandenburg-Schwedt, one of the younger sons of the "Great Elector" Frederick William (1620–1688), ruler of Brandenburg-Prussia. Judging by the dedication, Bach had hopes of the Margrave. It seems that he had been able to play for the Margrave. Bach had visited Berlin (where the Margrave kept an establishment complete with a musical entourage) to organise a new harpsichord for Köthen, and the Margrave's response to Bach's playing had given him some hope. So the presentation copy was a sort of job application, and it failed. Nothing happened, though thankfully Bach's presentation score survived in the Margravial library in Berlin. Further details from the Florilegium website.